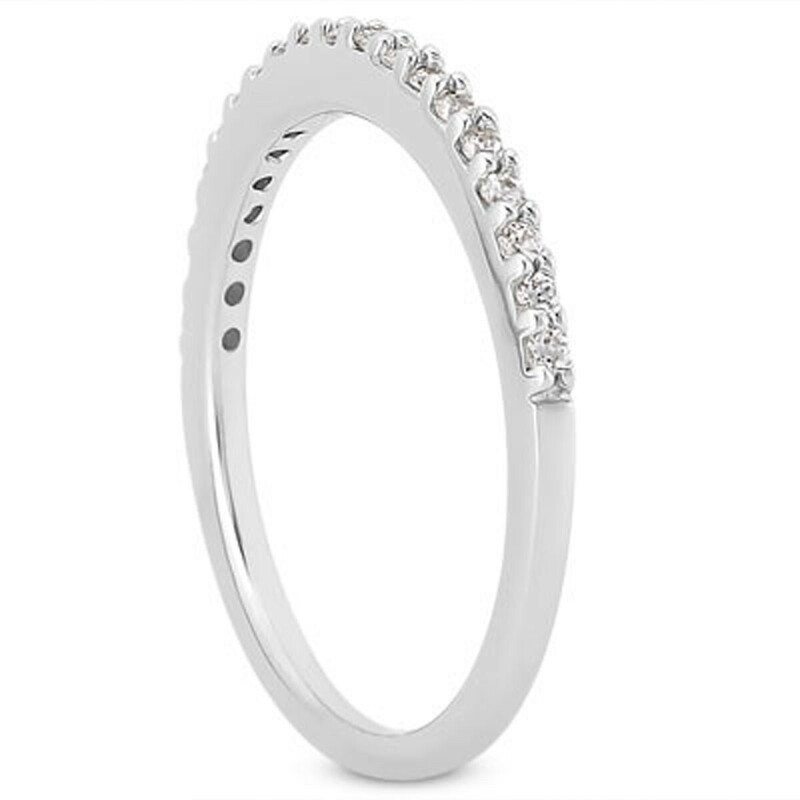 Rounded and smooth, a series of shared prongs securely embraces a glittering row of diamonds in this expertly crafted 14k white gold wedding ring. 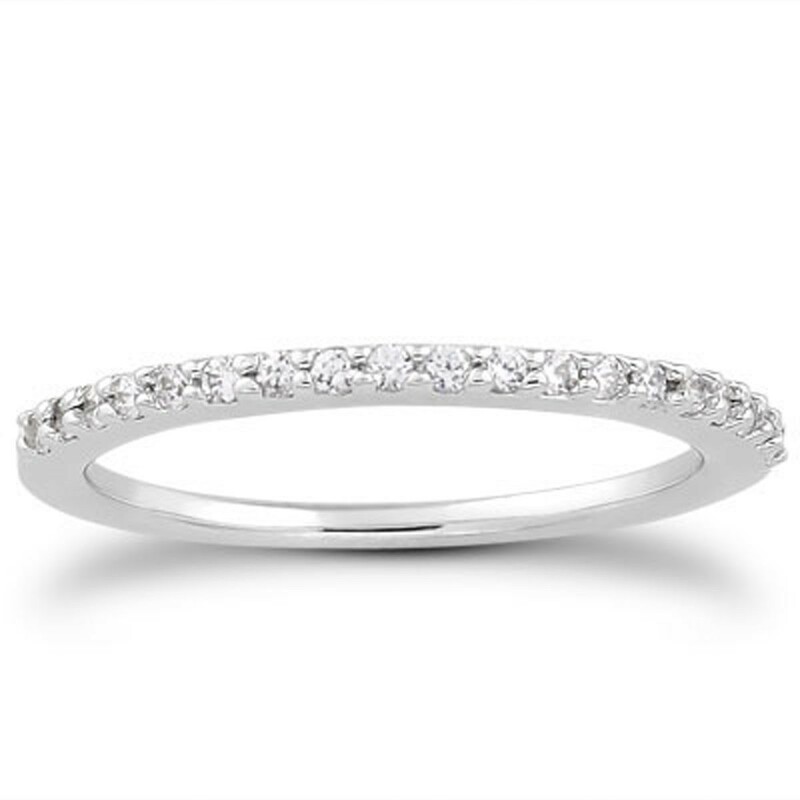 The slim design imparts understated elegance while the diamonds provide plenty of sparkles. 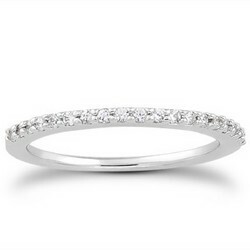 The diamonds are set half way around in highly polished white gold.